What a rush of nostalgia. 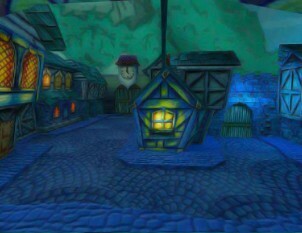 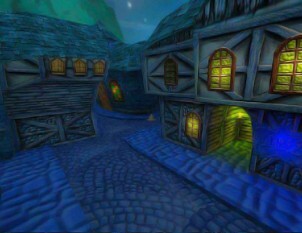 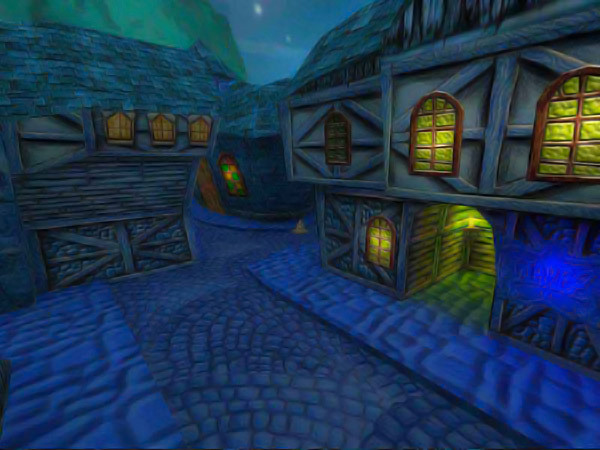 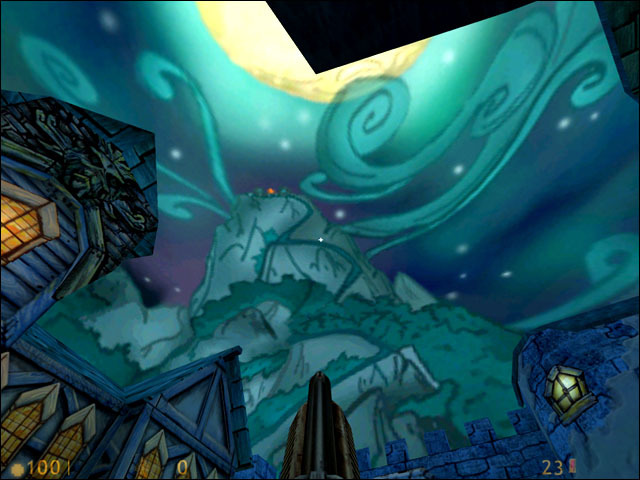 Lately somebody reminded of the Half-Life Map i created from the Melee Island Town, that shabby piratedump in „Monkey Island“. 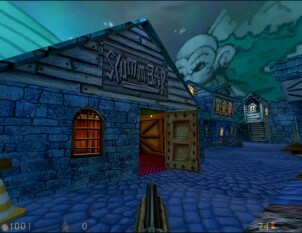 I rediscovered it in a backup of my website from 2004. 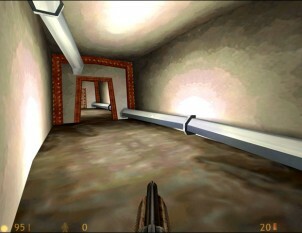 Meanwhile this became a nostalgia double-feature, because the first part of Half-Life got ready for musuem as well as it has written computergame history too. 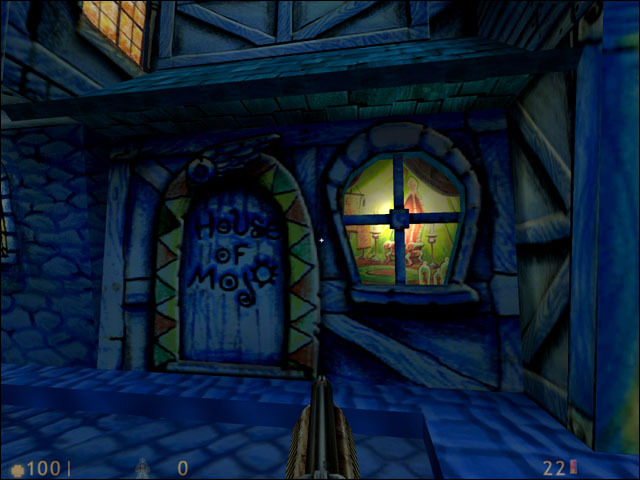 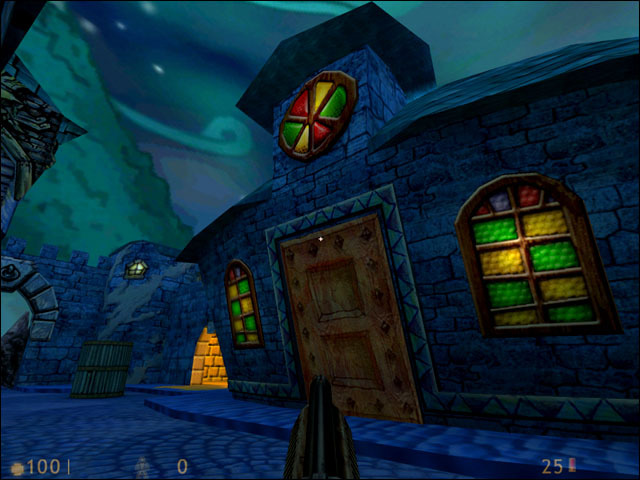 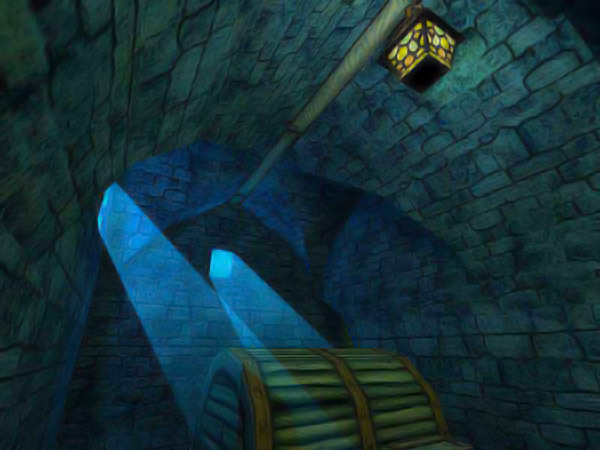 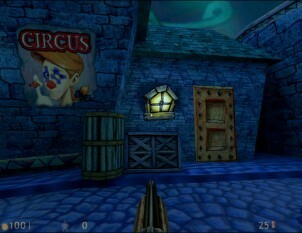 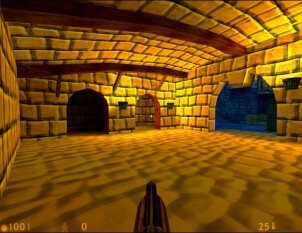 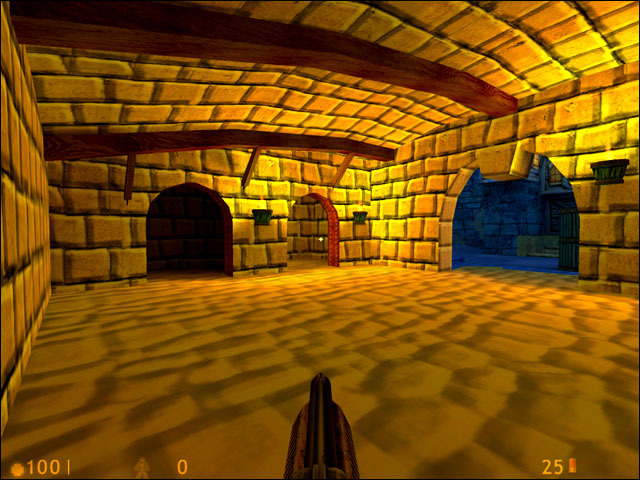 We are time-traveling not only back into the most charming caribbean adventure game ever but also into a time when brushwork and polycount where everything while creating Half-Life Maps whith Valve’s Hammer Editor. 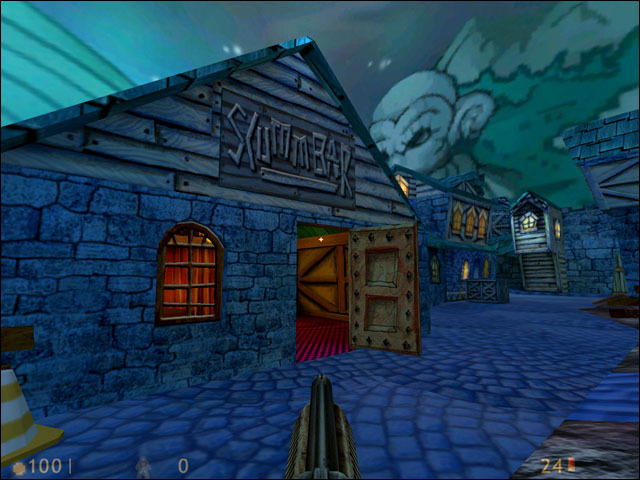 Here you can hang around in the Scummbar, pay a visit to the church, the prison and do some side-seeing in the servers beyound the dead end which we have encountered in the „Le Chuck’s Revenge“ for the first time. 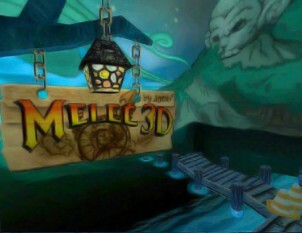 from many locations on Melee Island which you might remember well!